The key figures who brought victory in the last presidential election are not the leading figures who are running the Yahapalana government, Minister Harin Fernando said. Minister Fernando was addressing the media at the Government Information Department yesterday. He said. He said it is a group of outsiders who claim their dedication for the setting up of a unity government. “We are not key figures in the government. There is a new group at the front line. They are the ones who go around announcing their work and take advantage from the government,” Minister Fernando said. The ones who walked into the government on charity do not seem to hold the unity government in high regard, he said. “They may want the Yahapalana government to be unstable,” he said. “I have spoken at 98 political rallies in the Presidential Election campaign trail. 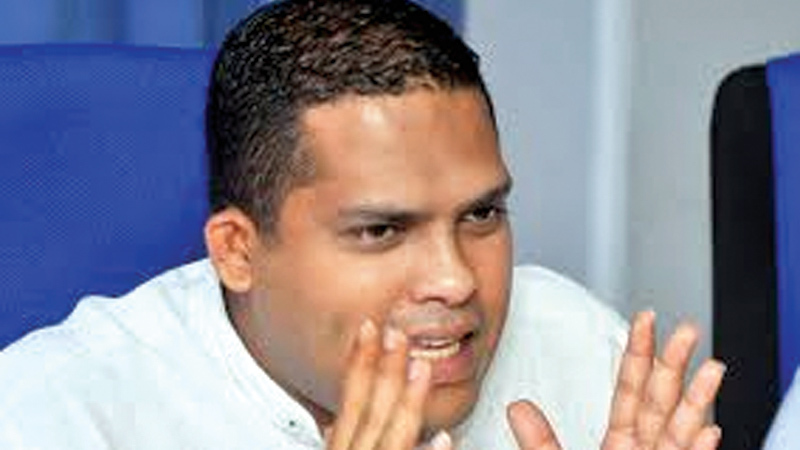 Had Mahinda Rajapaksa won the election, our lives would have been in danger,” Fernando said. President Maithripala Sirisena and Prime Minister Ranil Wickremesinghe are on a solid understanding as to where the government should go. “Since there is no dictator ruling over the government’s decisions, it may seem there are many disagreements as many opinions are brought forth at discussions,” Fernando said. “They are pieces of evidence of democracy and transparency with which the government is operating,” he said.